We can take care of any of your Koi Pond needs. Serving Southern California since 1978, H2O Technologies, will design, build, maintain custom fountains, Pools, Spas and Koi Ponds. We have been designing state of the art Koi Ponds with proven filter systems to keep your Koi healthy and clean aesthetic environment which is easy to maintain. We service Southern California. H2o Technologies we specialize in building quality fish ponds from small natural pools to large specialist Koi Ponds, all at very competitive prices. We offer all the services you need to give you, the pond you have dreamed of. We design Koi Ponds and water features that compliment your home or property and transform the grounds into a unique setting. At H2o Technologies we have a wealth of knowledge when it comes to helping you choose the right type of stones, plants, fish and feature size. Call H2O Technologies for a new Koi Pond, remodel, spa, water features, fountains pools,or even a small repair we do it all. With years of experience. Since 1978. We work hard to turn your Koi Pond dreams into reality. 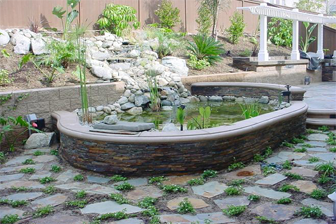 Our custom designs will help home and business owners enjoy beautiful Koi Ponds and water systems. We know how to keep your pond balanced. It is a sustainable food production system that combines a traditional aquaculture (raising fish in tanks) with hydroponics (cultivating plants in water) in a symbiotic environment. In aquaculture, effluents accumulate in the water, increasing toxicity for the fish. Your Koi pond is an entire ecosystem which requires special care and maintenance to insure that your prized Koi flourish and thrive. We have an extensive knowledge for over 34 years we can offer the right Koi pond equipment to make sure that you will be able to fully enjoy your Koi pond. 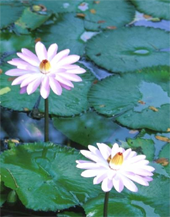 We offer essential equipment, such as pond filters and pond pumps, necessary to maintain life and health, to Koi Pond Accessories which add to your enjoyment. Whether your Koi Pond is simple and elegant or complex and extraordinary, H2O technologies knows how to keep your Koi Pond looking its best.